The world economy Is experiencing rapid globalization. This Is clearly reflected in sharp Increases In world trade in goods and services. Foreign direct investment and private financial flows as a proportion of world GOP. 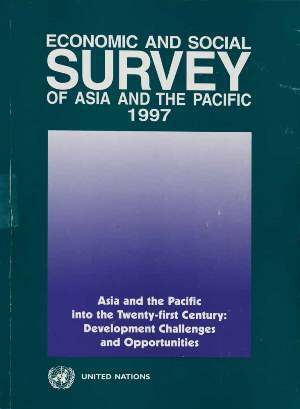 Developing countries in the ESCAP region have become much more Integrated with the globalization process. There has been a remarkable increase in their shares in world trade and financial and investment Inflows. This has been paralleled by a significant upsurge in intraregional trade and investment flows. The process of integration has been uneven. For example, just 12 economies account for 97 per cent of the exports of developing economies of the region and 98 per cent of foreign direct investment Inflows. In general, the disadvantaged economies - the least developed. Landlocked and Pacific island countries and the economies in transition remain poorly Integrated with the global and regional economies. Greater integration offers opportunities for national development through enhanced access to capital, technology and markets for exports. but it also exposes the domestic economies to external shocks such as fluctuation in exchange rates among major currencies, sudden decline in demand for exports and unanticipated reversal of Investment and financial flows. Policy responses to deal with the challenges have to suit the unique conditions of individual countries. In general, the imperatives at the national level are improved balance in government budgets and the current accounts of balance of payments appropriately sequenced liberalization of trade. investment and financial sector policies, and upgrading of human resources and institutional capacity. Regional cooperation in trade investment, finance and transport and communications linkages has to be strengthened. Fair and full implementation of the Uruguay Round agreements is required. The structural conditions of the disadvantaged economies pose formidable problems for integration. These economics have to depend heavily on official development assistance to improve their Initial conditions. It Is disconcerting that ODA as a proportion of GNP of developed countries has been declining: the proportion was 0.27 per cent in 1995, the lowest figure since 1950 and a far cry from the Internationally agreed target of 0.7 per cent.